All our hire equipment is checked and calibrated at our workshop, before dispatch to the customer to ensure trouble free operation on site. Geodetic Supply and Repair are able to offer technical advice on selection of the correct device to suit your application and also give help on the installation and operation of the equipment. 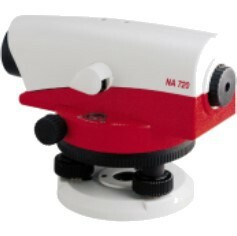 All Laser & Optical Instruments for hire include tripod & staff for outdoor applications. Optional accessories supplied at extra cost. All hire instruments are being in-house checked & calibrated before hire commences. 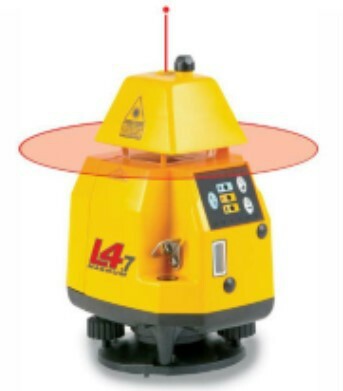 Pro Shot L4.7 The Pro Shot L4.7 Magnum Rotary Laser is designed for both interior and exterior use and incorporates a highly visible beam for interior fit-outs & ceiling work. Spectra Trimble GL412 The automatic, self-levelling Spectra Precision® GL412 single grade laser is the most rugged laser for outdoor work. It does level, grade and vertical alignment. Even in harsh job site conditions, the GL412 delivers consistently reliable and accurate performance, enabling you to work faster and smarter. 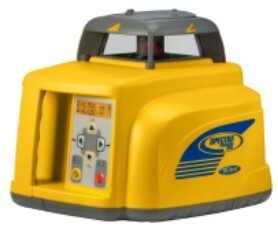 Pro Shot AS2 Horizontal fully automatic self-leveling grade laser with automatic dial-in grade. Just set your desired grade and the AS2 will automatically drive the laser line to that slope. Ideal for grading, excavating, sewer lines and drainage. 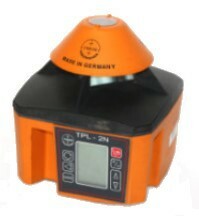 Theis TPL-2N Rotation Laser Dual Grade function. Offers scan and multispeed function for indoor application. Includes Laser receiver & remote control. Spectra Trimble GL412 The automatic, self-levelling Spectra Precision® GL412 single grade laser is the most rugged laser for outdoor work. It does level, grade, and vertical alignment. Even in harsh job site conditions, the GL412 delivers consistently reliable and accurate performance, enabling you to work faster and smarter. 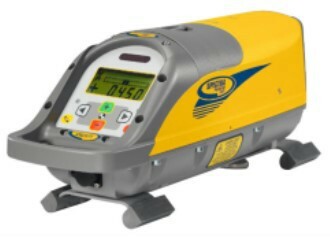 MCE360 Laser Receiver Highly visible and adjustable LED display of position of the laser beam. Simply to use and set up. Automatic compensation of errors induced by vibration. Power supply of 12 to 24 V DC allows use on different machines. Spectra LR30 Receiver The easy-to-use LR30 features 360-degree laser detection and works with all types of rotating lasers on all types of machinery for fast, no-hassle setup. Designed to be used as a stand-alone display receiver on grading and excavating equipment including dozers, backhoes, excavators, scrapers, skid steers and levelers. Spectra Trimble CR600 Magnetic Receiver The CR600 can be used as a hand-held or rod mounted receiver for a wide range of applications, including measuring cut and fill, leveling forms and footers, setting grade and measuring elevation changes. In addition, the CR600 can be used as a machine control mounted receiver for use on a backhoe, small excavator or skid steer loader. An easy to use tool for accurate measurement of elevations across the site. 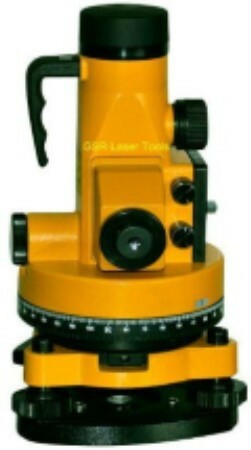 Spectra Trimble Pipe Laser DG511 Wide automatic self-leveling range available for quick, easy setups regardless of grade. Line Alert feature alerts when the setup line has been disturbed, ideal for working in high-vibration or wet conditions. Ability to raise the beam outside of the trench for fast line setup or checking, eliminating the need to move the excavator off line during setup of the pipe laser. Ideal for installation of gravity flow sanitary and storm sewer pipelines, pipe jacking and tunnel boring. MCE LD60 adjustable focusing Long Range Laser The 60 Series Lasers allow tunnels to be constructed true where being driven by tunnel boring machine, drill and blast, pipe jack or conventional hand techniques. Range from 15m up to 850m. Fencing Long Range up to 1000m with Machine Receiver. 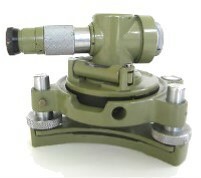 Includes mounting Gimbal with 5/8” female thread. Minimum hire 4 weeks. 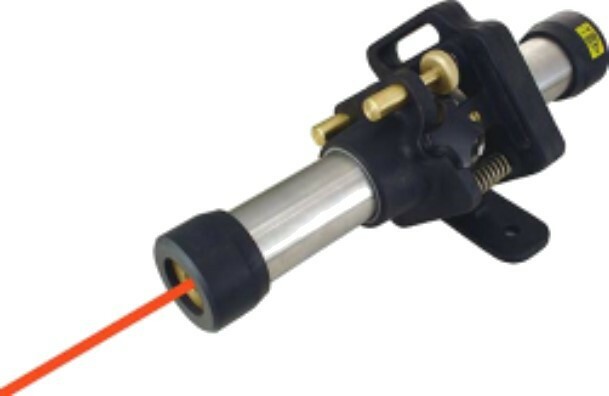 Multi line lasers for indoors and with receiver available for outdoor applications. 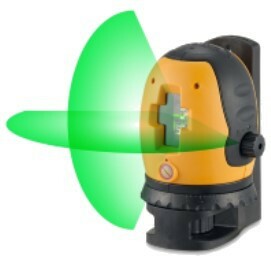 Geo Fennel FLG40 Green Beam Cross Laser The Geo FLG-40 Green Beam automatic indoor Laser offers a bright clear Laser Cross, generated by a green Laser for improved visibility under difficult conditions. Ideal for working in bright surroundings. 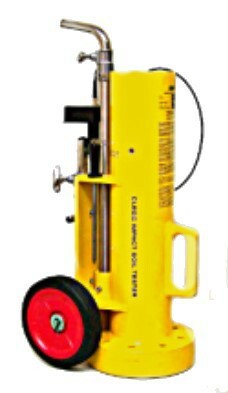 Working range to 20 m. Ideal for Horizontal & Vertical Wall application. Supplied with multi-functional magnetic mount, rechargeable battery, charger, target, laser glasses & hard case. Designed for accurate construction, alignment and layout applications. 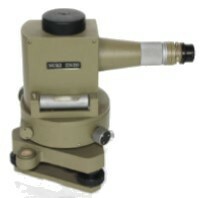 Generic Construction Theodolite With optical plummet that allows accurate measurement. 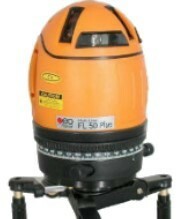 5” Accuracy allows surveyors to do different positioning techniques, such as 90-degrees layout, checking angles, alignment and plumb, short-range grade work and leveling. Designed for general construction, alignment and layout applications. Approximate targeting is made easy using the external sight. The image is presented upright and precise targeting is quick. Configure the level to suit your work and preferences. 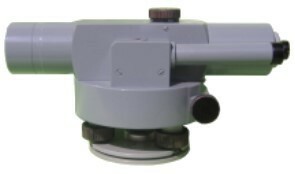 The horizontal circle can be read in either degrees or gons, the foot screws have adjustable resistance and the level may be mounted on flat or dome-head tripod. Use the laser only or the optical system only or both. 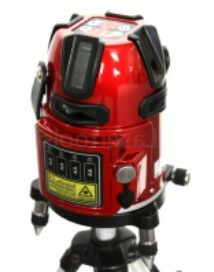 The downward laser is used for ensuring an exact plumb line from the floor to top target. 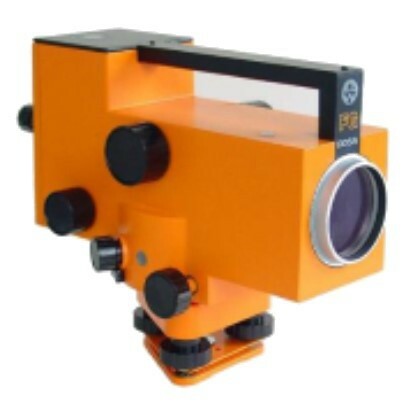 Widely used in construction and industry installations, engineering inspection and distortion observations.. Measurement accuracy to 1/45000. 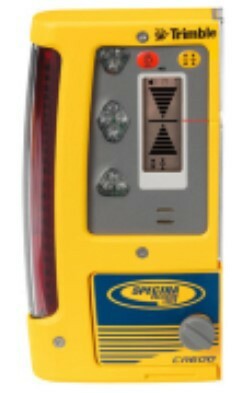 Professional altimeter measures the difference of level & elevation including around corners with an accuracy of within 3 mm (standard model) and 0.2mm (high precision model). Indoor or outdoor application and a large operating radius of up to 50m and up to +/- 6m vertical. 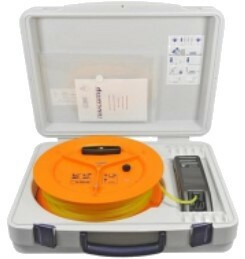 Measures depth in difficult to reach, inaccessible or hazardous sites as in drainage, bore holes etc. Easy to set up and operate this handheld device means .problem free measuring for unevenness of surfaces and gradients, taking of reference levels, level checking as well as across obstacles where the line of sight is blocked. Measurements are displayed on a LCD Screen. Newcon LRM 1500SP Laser Rangefinder with instant distance and speed measurements. 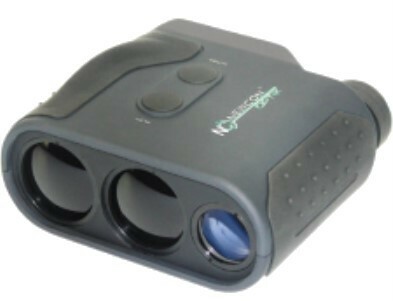 This advanced Laser Rangefinder allows observation of distant objects with superb image quality plus it measures the distance to the object up to 1500 meters. The outstanding optics allow a sharp and clear image under all conditions. 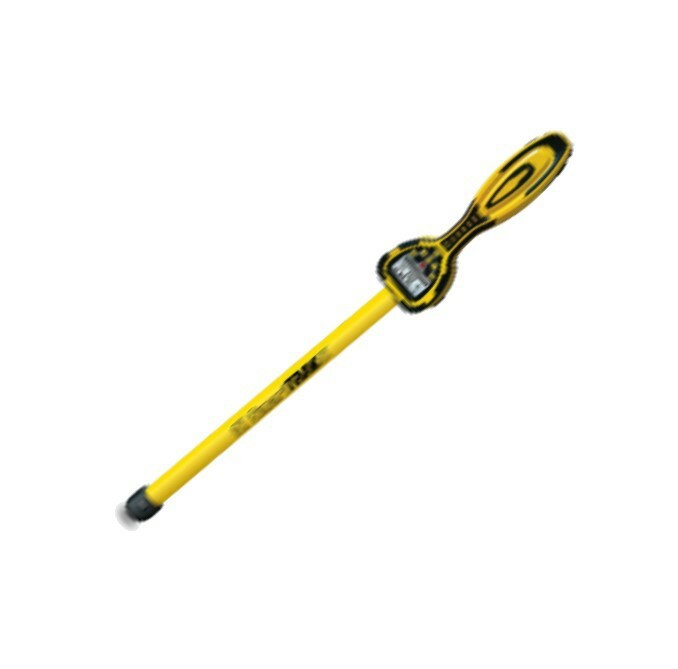 4.5kg Clegg Impact Tester is a simple to use device for turf or sand testing. The impact of the hammer causes an electronic output to a digital display. The output is based on the peak deceleration of the hammer’s impact with the surface in units of tens of “gravities”. Four successive blows of the hammer’s impact on the same spot constitutes one test, called a Clegg Impact Test. Used by road authorities, local government, consulting engineers, contractors, construction and mining etc. 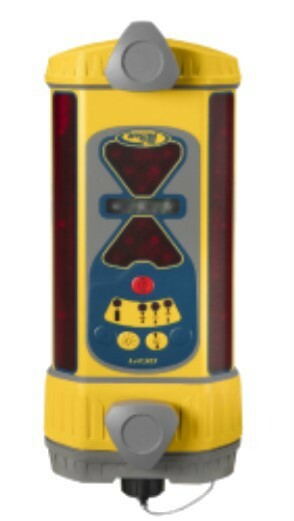 9 kg Clegg Impact Tester for testing through a larger zone or on top of the running course of flexible pavements. The impact of the hammer causes an electronic output to a digital display. The output is based on the peak deceleration of the hammer’s impact with the surface in units of tens of “gravities”. Four successive blows of the hammer’s impact on the same spot constitutes one test, called a Clegg Impact Test. Used by road authorities, local government, consulting engineers, contractors, construction and mining etc. 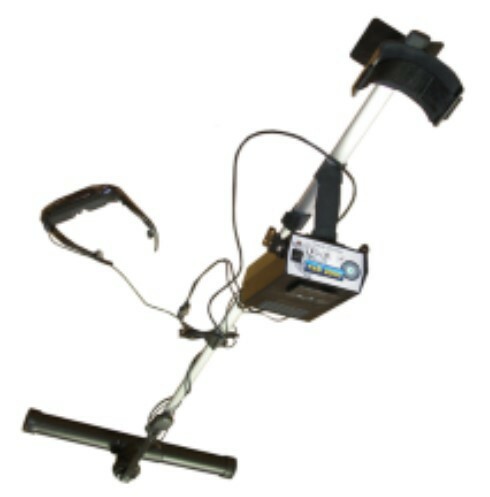 OKM eXp 5000 Pro 3 D Ground Scanner Underground Metal Detector. 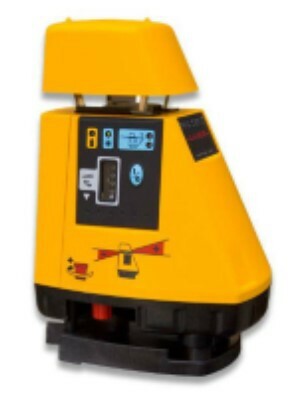 Suitable for rofessionals in the fields of Archeology, Industrial Ground Scanning & Locating, Geophysical & Gold Prospecting. Training provided at additional charge. 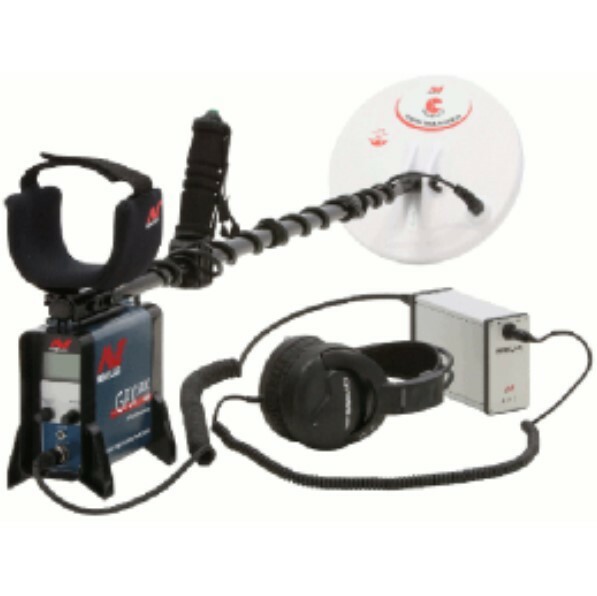 Minelab GPX5000 Metal Detector for Serious Prospectors Runs smooth and quiet in even the most severe ground conditions, whilst still maintaining excellent depth and sensitivity to gold nuggets. Also great for the specialist relic and jewellery hunter who demands the best and wants to recover targets deeper than ever before. Easy for the beginner through to the professional. SitePro SmartTRAK Magnetic Locator The smart choice for locating ferrous metal objects underground like buried manholes, steel covers, septic system handles, corner survey markers, cast iron pipes, iron valves and much more. 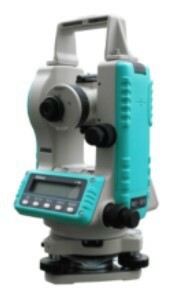 Balanced design for one-handed operation and large LCD screen for visual search results. 0-99 numeric indicator with signal strength bar graph and battery level indicator. Automatic Stabilised Survey Tripod AD-14 The Automatic tripod AD-14 is used for automatic leveling of lasers and surveying instruments, especially total stations and other devices with weights up to 10kg. Ideal for structural monitoring / automatic traversing - subsidence measuring of buildings, monitoring of soil injection & tunnel construction, structure relocation, bridge renovation, load-bearing structures and more.